"One day we were in traffic, just sitting there," says Fabien, a Paris native. Traffic jams were a daily occurrence, but this one sparked what he says was a "crazy idea." "We said to each other, ‘Should we try to go to the U.S.?' ...We just said, ‘Yeah, why not? Let's try it.'" Soon after, in 2006, the pair arrived in Pittsburgh, where Lisanne had family. Fabien worked in kitchens from Olive Garden to Eleven, but found it hard to find some of the desserts he could get in France. A French bakery seemed like a natural business opportunity — but first Fabien would need to become an actual French baker. He returned to study at the Lenôtre School in Paris. 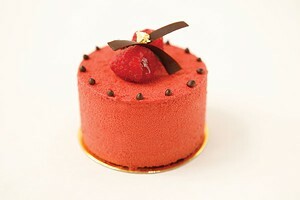 "Mr. Lenôtre was classic in his food," with an emphasis on consistency and traditional flavors, remembers Fabien. 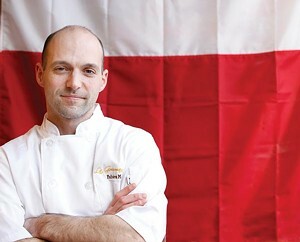 "I'm trying to reproduce the flavor that I had in France, because I miss my country, my food." So what on the menu appealed to City Paper readers' sweet tooth? Breads and Danishes aside, each day brings 12 pastries, from French classics like éclairs au chocolate and macarons, to the seasonal and unique, such as autumn's apple-based feuílleté aux pommes, and tartelette á la cítrouílle (pumpkin tart). When asked how he creates new recipes, Fabien demurs. "I never create a recipe," he insists. Relying on centuries-old techniques, "I just assemble, and put things together." His knack for "putting things together" has the shop bustling, even at 3:30 p.m. on a Tuesday afternoon, as loyal customers purchase almond croissants or a baguette for dinner. At La Gourmandine, high-quality ingredients (some imported from France) mix well with classical training and a dash of creativity to keep you coming back. So, it's a dream come true, right? "I think it's dangerous for restaurants to be a lifelong dream," Fabien warns. "I love what I'm doing, I love food. But people ask, ‘Is the bakery your baby?' and I say, ‘No, I have two babies at home.'" Not that you should worry about the Moreaus abandoning Lawrenceville any time soon. After all, Fabien says, "at 4 in the morning" — when he and his wife drive in to the bakery — "there is no traffic."